DfMA is the philosophy of design for manufacture and assembly. From the outset, the designer considers these important elements in addition to the requirements of the service condition to add value to almost any application. 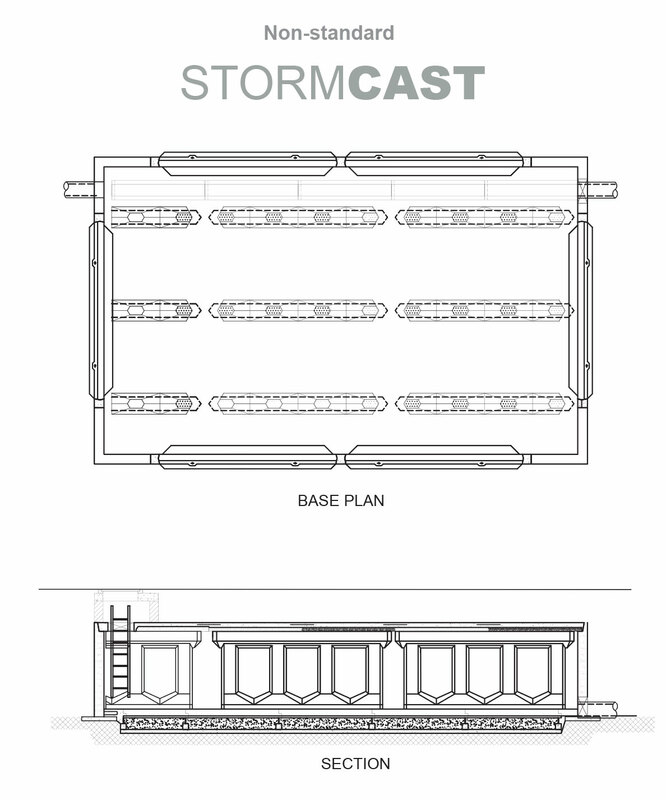 As a precast concrete manufacturer, our STORMCAST product was of course developed with manufacture and assembly in mind. It offers great flexibility in layout with bespoke tailoring to meet the particular requirements of any project. However, this flexibility comes at a cost in a DfMA context. Each non-standard item, be it product, design process or method of work adds cost and complexity. So we’ve explored the potential savings of offering a suite of standard solutions in parallel to our bespoke offering. Through rationalisation and simplification significant savings can be made. With data gathered from the multitude of installations and designs to date, we’ve identified a set of parameters into which the majority of projects fall. Using these parameters we’ve prepared a menu of idealised layouts with supporting calculations and documentation, eliminating the cost of these components from your DfMA project. By taking advantage of these efficiencies you get the same quality at less cost. If one of the standard configurations meet your requirements, all you have to do is let us confirm with your Engineer that the allowable bearing capacity of the substrate and design superimposed loading in the standard calculation is appropriate. CPD presentations on the Carlow Precast DfMA are available free of charge. 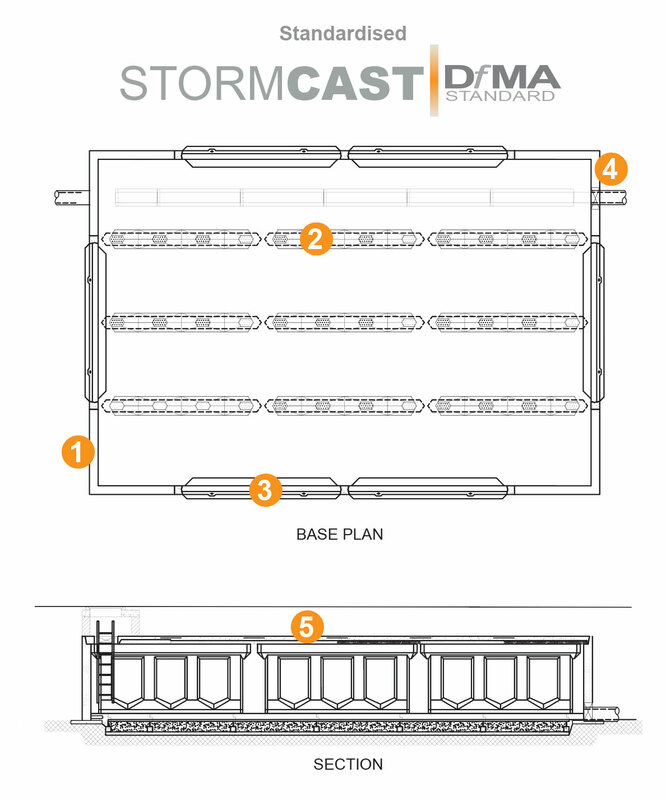 When you choose a DfMA Standard STORMCAST you’re getting the same components to the same standard, faster and more cost effectively. 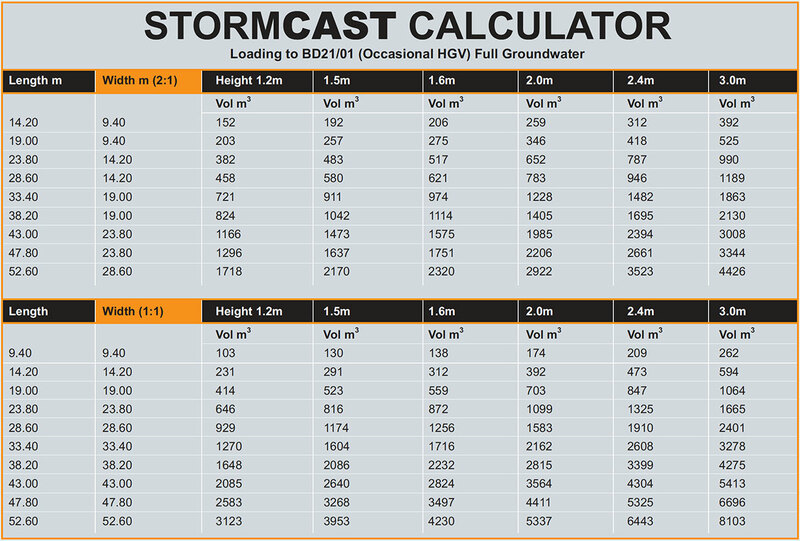 The Stormcast DfMA Standard product is available in a square and approximately 2 : 1 aspect ratios on plan. The available depts are 1.2m, 1.5m, 1.6m, 2m, 2.4m and 3m deep systems. For more information about our DfMA Standard Stormcast products and services please call our technical team on 0870 493 1408 or email us at .